AKIPRESS.COM - The 2017 Nobel prize in physics has been awarded to three US scientists for the detection of gravitational waves, BBC reported. 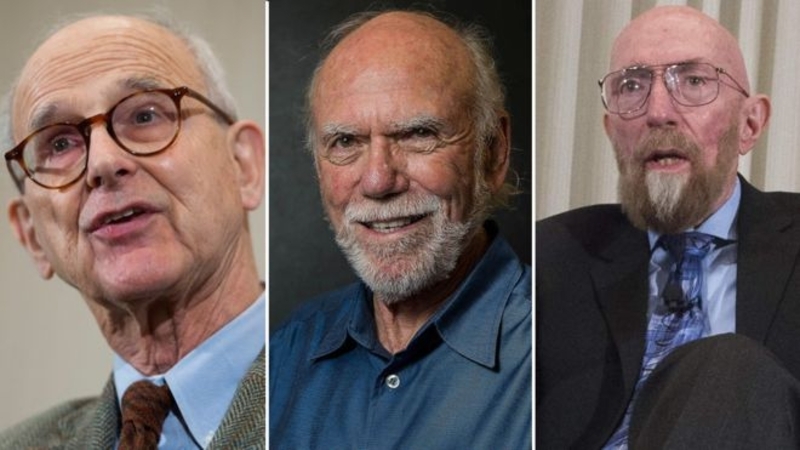 Rainer Weiss, Kip Thorne and Barry Barish will share the nine million kronor (£831,000) prize. The winners are members of the Ligo-Virgo observatories, which were responsible for the breakthrough. The winners join a prestigious list of 204 other Physics laureates recognised since 1901. Prof Weiss gets half of the prize money, while Barish and Thorne will share the other half. Gravitational waves describe the stretching and squeezing of space-time that occurs when massive objects accelerate. The warping of space resulting from the merger of two black holes was initially picked up by the US Ligo laboratory in 2015 - the culmination of a decades-long quest. Three more examples have been detected since then.